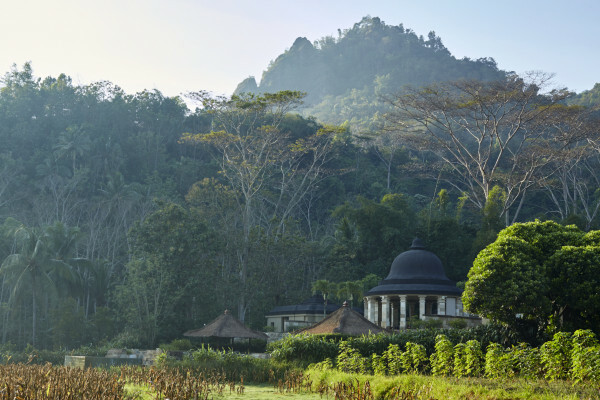 Opulently overlooking the largest Buddhist sanctuary amid a natural amphitheater in central Java, a more apt description of this resort would be AmanjiWOW. 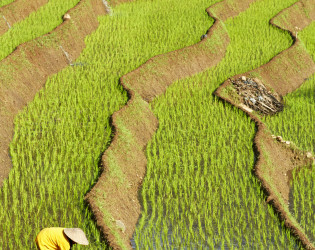 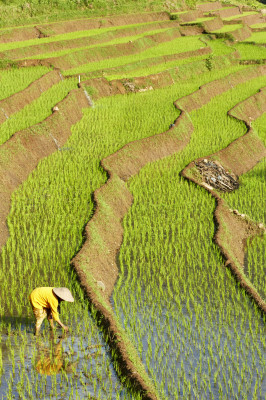 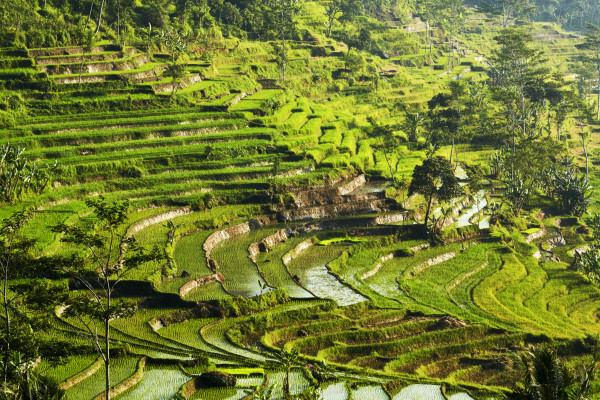 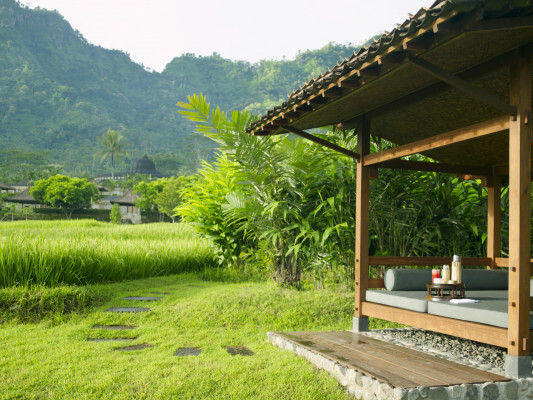 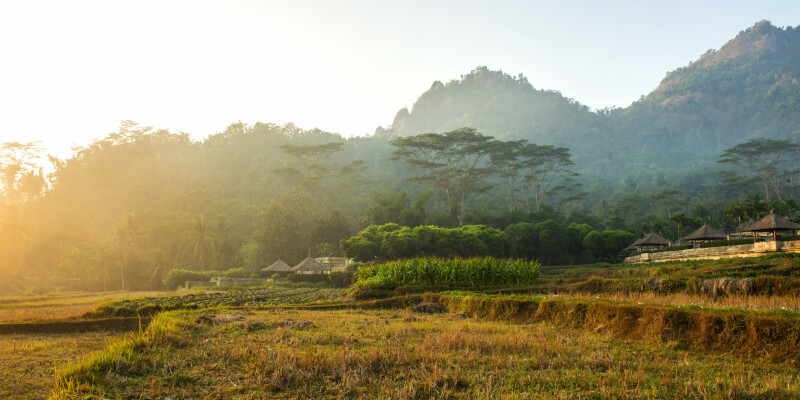 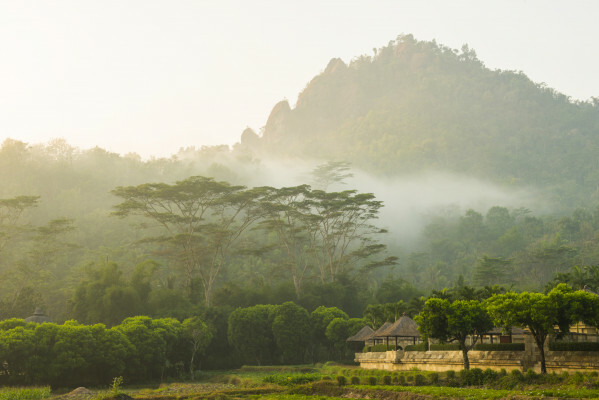 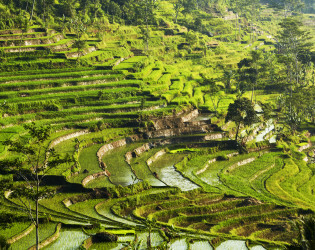 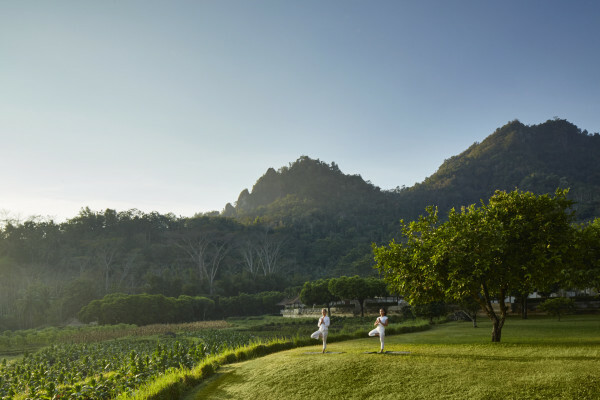 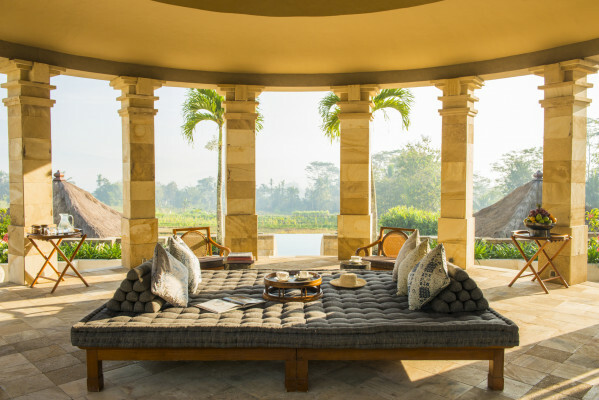 Serenely sojourn to this southeast Asian sanctuary with your soulmates and eat, pray love your way into Indonesian immersion via this luxurious locale. 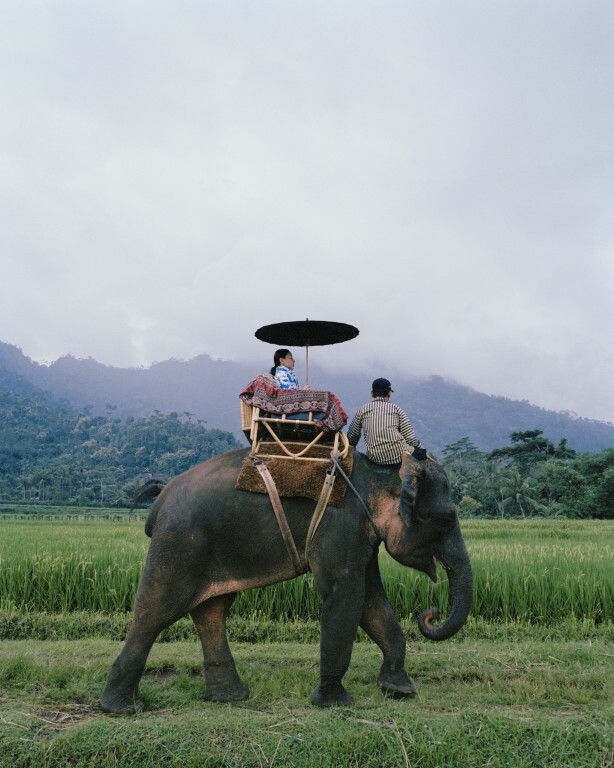 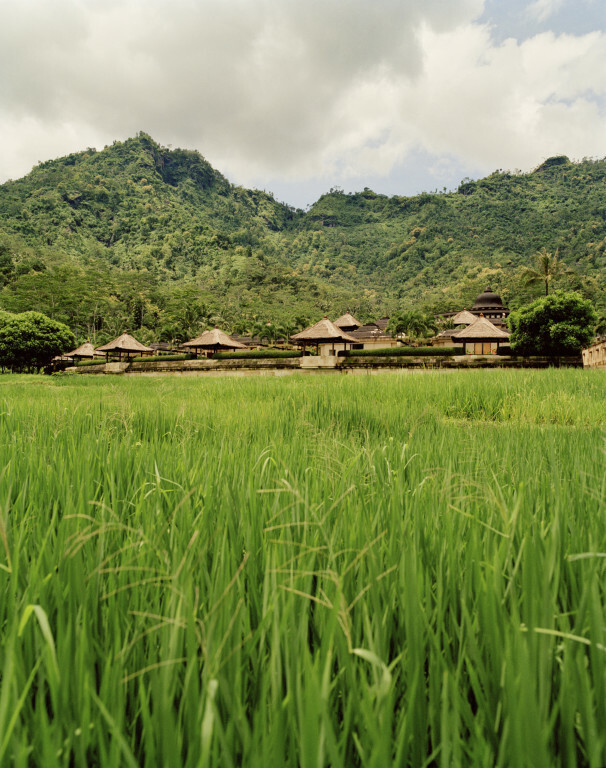 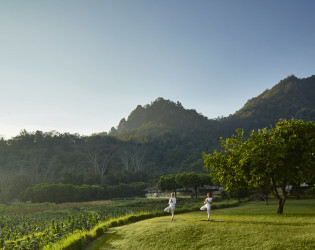 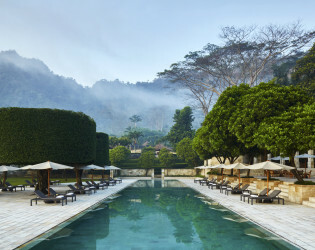 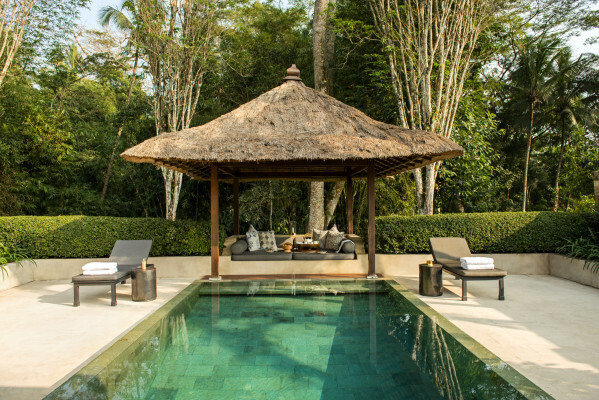 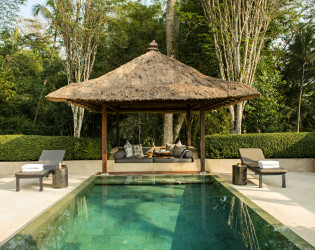 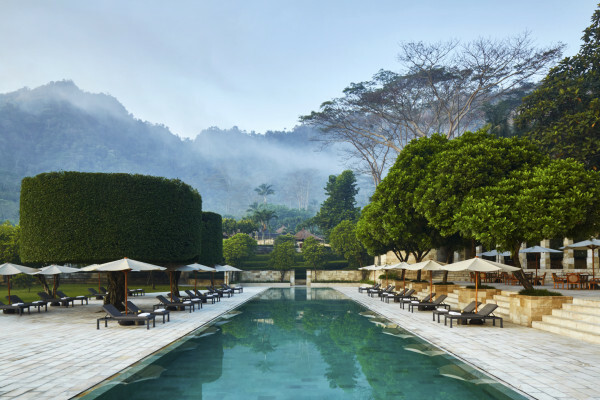 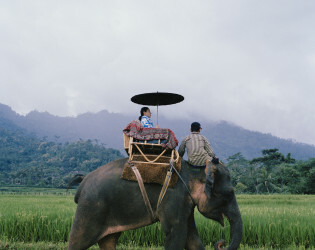 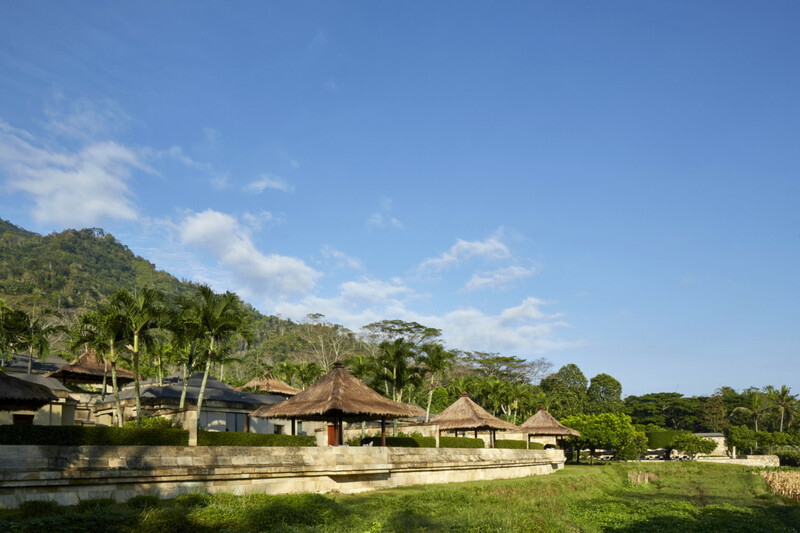 the resort Amanjiwo (peaceful soul) rests in the rural heartland of Central Java. The resort is located within a natural amphitheatre, with the limestone Menoreh Hills rising gently behind, the Kedu Plain in front and four volcanoes (Sumbing and Sundoro to the west, Merbabu and Merapi to the east) on the horizon. 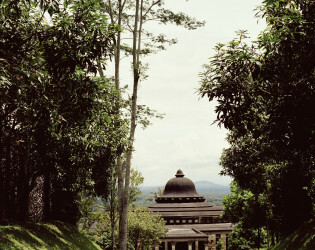 Amanjiwo looks out onto the 9th-century Buddhist sanctuary of Borobudur, a UNESCO World Heritage Site. 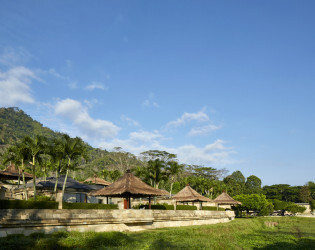 Several villages are within walking distance of the resort. 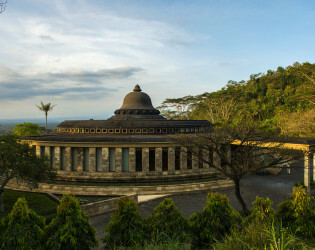 The heart of Amanjiwo is a sweeping circular monolith crafted of paras yogya, a type of limestone found in the Yogyakarta area. Amanjiwo’s remarkable position is obvious from the moment of arrival. 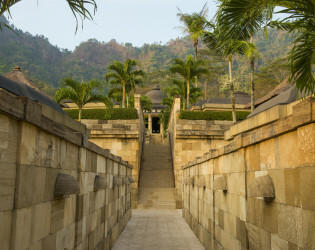 The view runs like an arrow through Amanjiwo’s entrance and the stone corridor that neatly cleaves the resort, up the steps to the soaring, bell-shaped rotunda, down to the Restaurant, outside to the Terrace, past fields of rice and vegetables and on in a direct line to Borobudur itself. 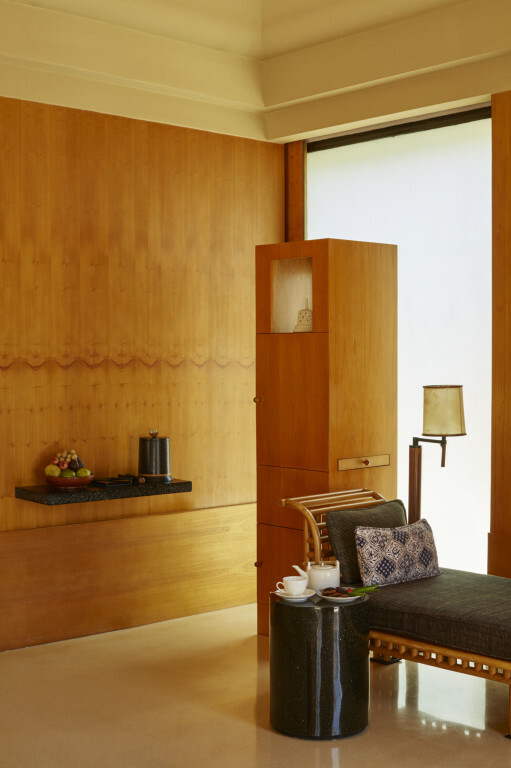 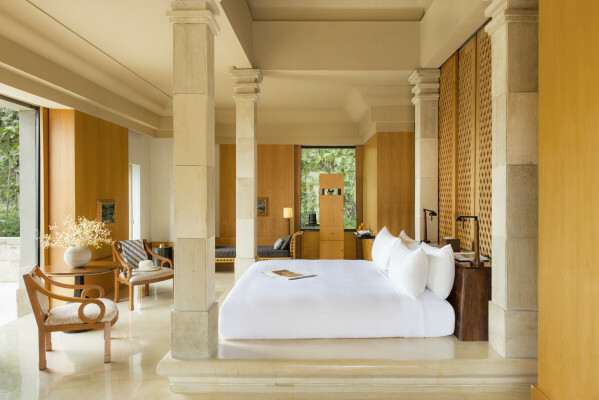 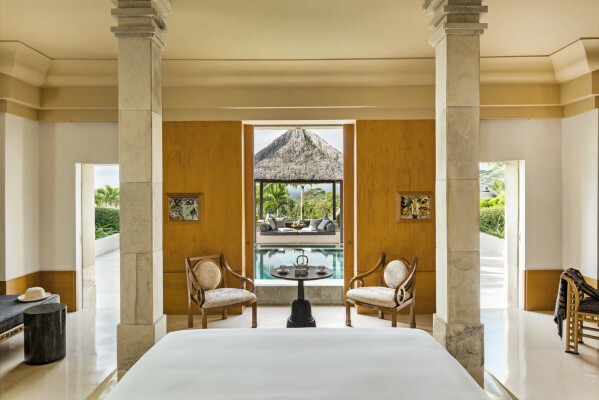 Amanjiwo’s major design motif of circles, squares and crescents pays homage to Borobudur and to Central Java’s centuries-old temple architectural traditions. 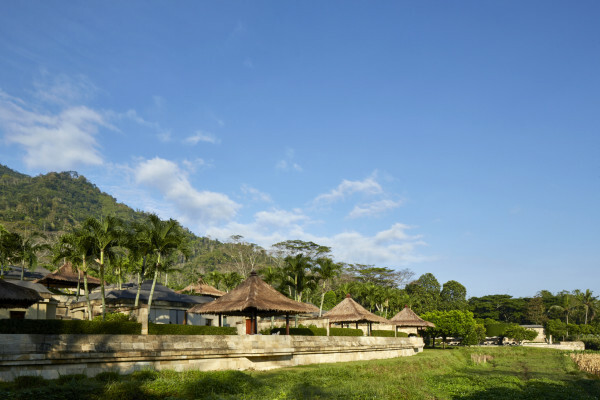 o SUITE DESCRIPTION  Garden Suite • Total of 7 suites are located around the property with views of Menoreh hill or terraced farmland without private pool. 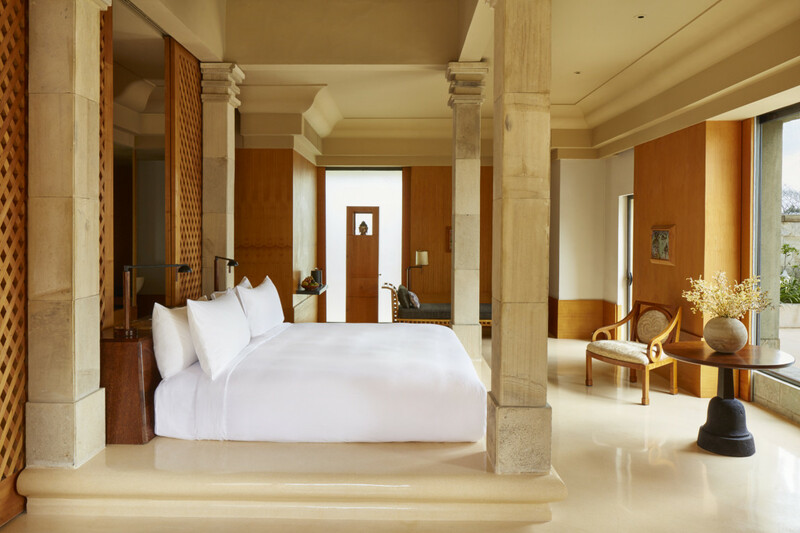 The garden suite category has the same size room configuration as well as all the amenities and interior features. 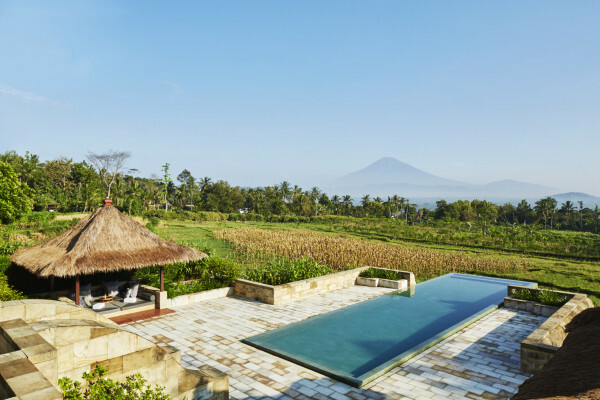  Borobudur Suite • Total of 10 suites, these are located in the center of the property on the top & lower levels, all with outdoor Bales with thatched roofs. 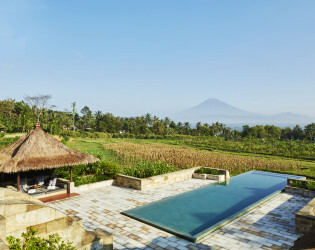 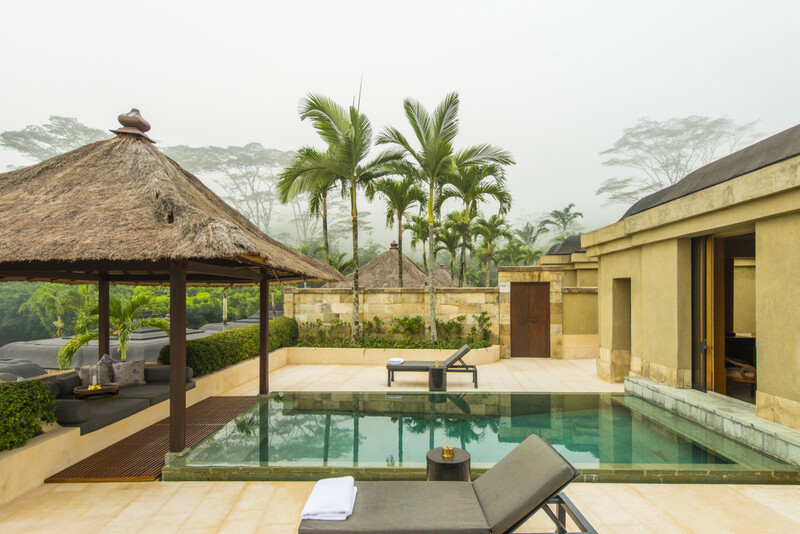 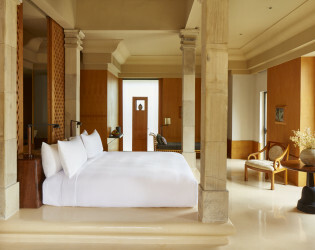 Each Borobudur Suite enjoys a panoramic view to Borobudur and Kedu valley but without a private pool. 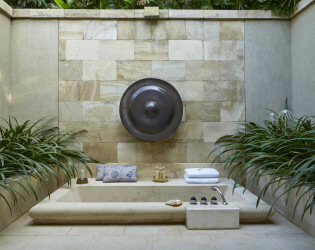 All amenities and room features apply to this category. 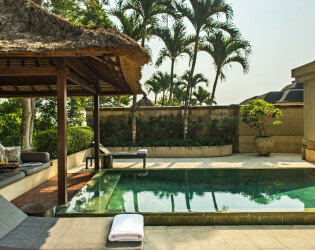 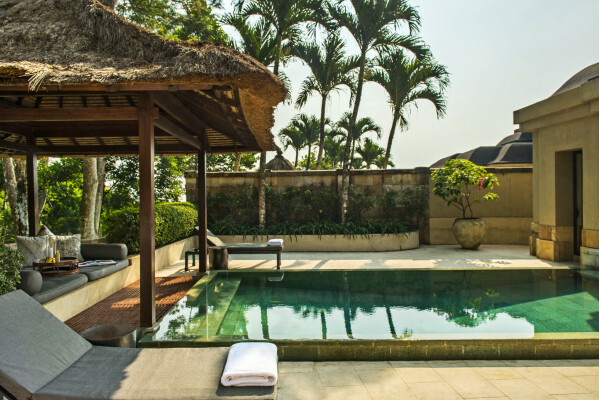  Garden Pool Suite • 6 in total are located around the property with views of Menoreh hill or terraced farmland and has its private pool (6 meters length and 3 meters width). 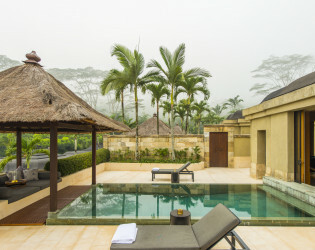 The garden pool suite category has the same size room configuration as well as all the amenities and interior features  Borobudur Pool Suite • 7 in total, this is the top category that has views, pool, all amenities, room features and size configuration. Looking out from the outdoor pavilion across its private pool (6 meters length and 3 meters width) reveals panoramic views of the sweeping plains to Borobudur  Dalem Jiwo Suite • The Dalem Jiwo two bedroom suites is a discrete compound, complete with a private entrance, a classically styled rotunda and surrounding terrace with two separately walled bedrooms, each with stone steps descending to the suite’s private 15 meters pool finished in a green Javanese stone known as Hijau danau, is surrounded by rice terraces. 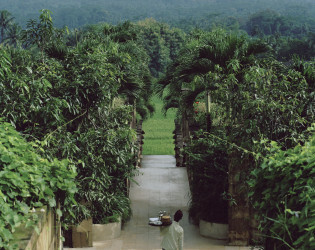 The Dalem Jiwo butler, always on call, has separate quarters in the compound. Perfect for a family or couples traveling together. 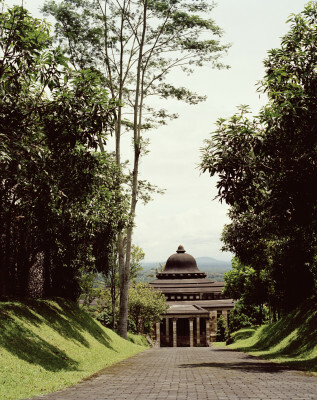 Amanjiwo (peaceful soul) overlooks Borobudur, the world’s largest Buddhist sanctuary, in the rural heartland of Central Java. 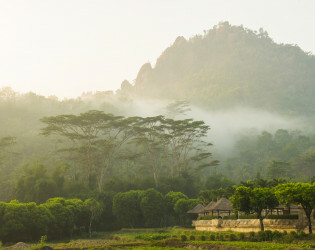 Located in one of the most scenic parts of the country, it rests within a natural amphitheatre; the Menoreh Hills rise up behind and no less than four volcanoes grace the horizon. Amanjiwo provides the opportunity for immersion in Javanese culture, offering trips to ceremonies, temples and antique shops. 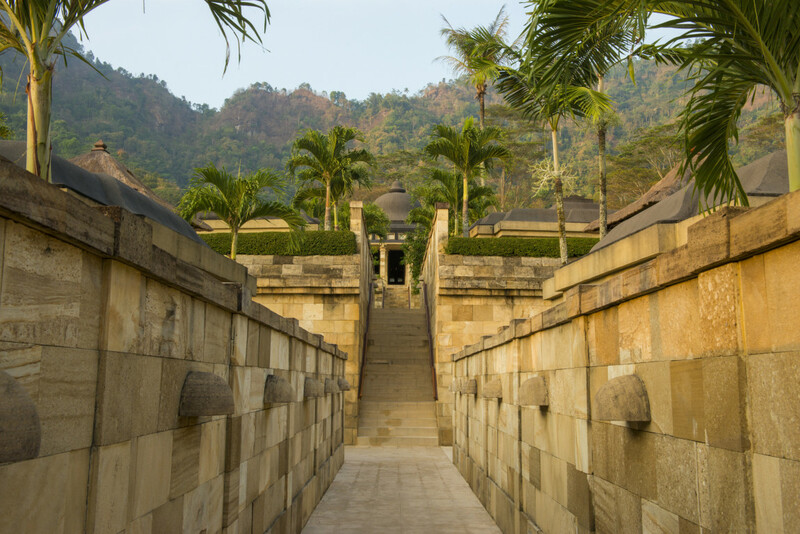 Private dawn and sunset visits to Borobudur and other archeological monuments in the vicinity are a highlight of a stay at Amanjiwo. 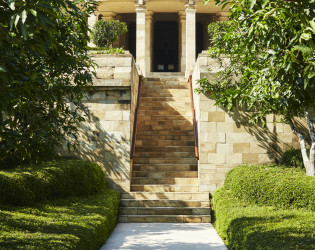 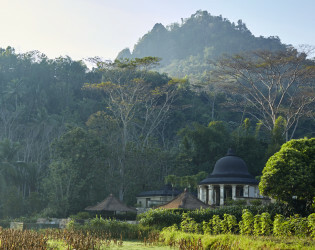 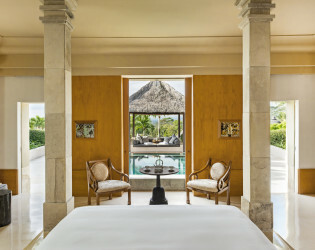 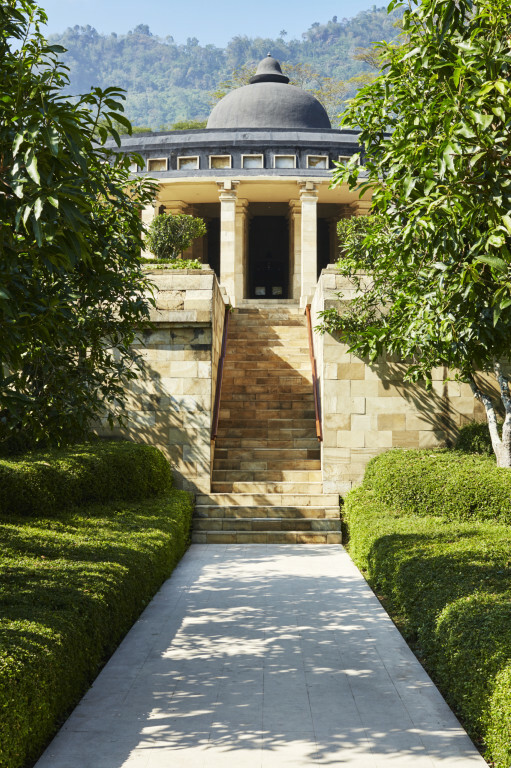 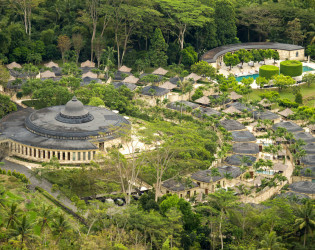 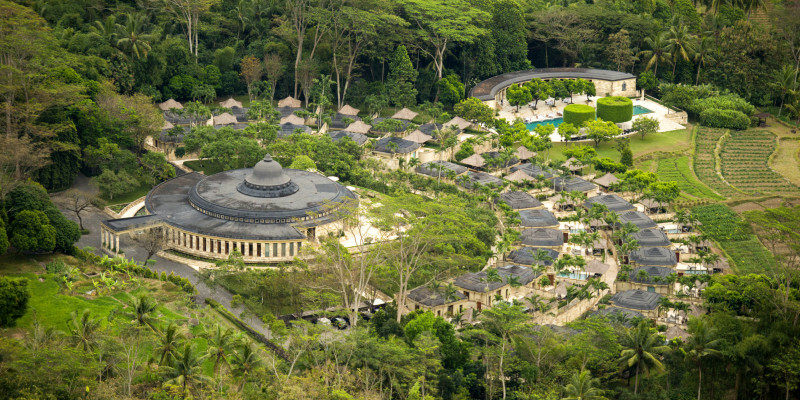 Amanjiwo’s main structure is a circular limestone monolith centred by a soaring bell-shaped rotunda. The airy entranceway leads to the lofty-ceilinged Bar from which one can see Borobudur in the distance. 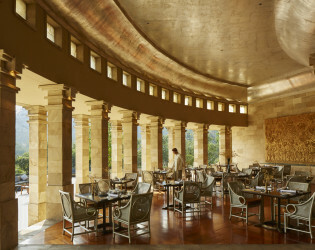 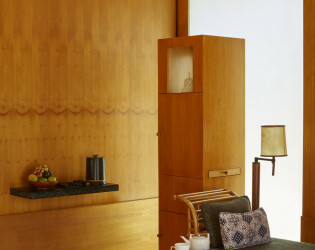 From Amanjiwo’s entrance, five steps lead to the Bar, a circular salon with columns and drop fans, a coconut-wood bar and acid-etched bronze-drum tables. 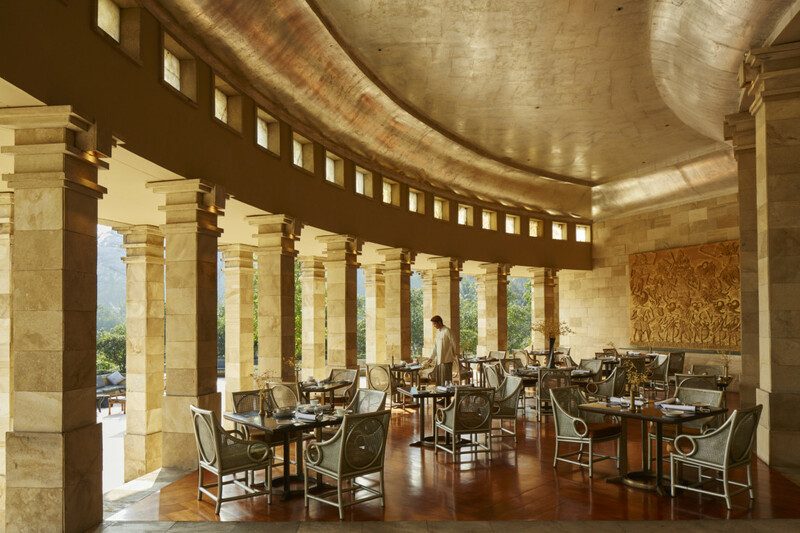 The Restaurant, with its silver-leaf ceiling, is defined by a double row of stone columns and looks out onto the crescent-shaped Terrace featuring black terrazzo tables and silver-painted rattan chairs with batik cushions. At either end of the Restaurant, gold-painted murals recreate scenes from the Hindu Mahabharata epic, but the view over rice fields to Borobudur and its surrounding volcanoes takes centre stage. 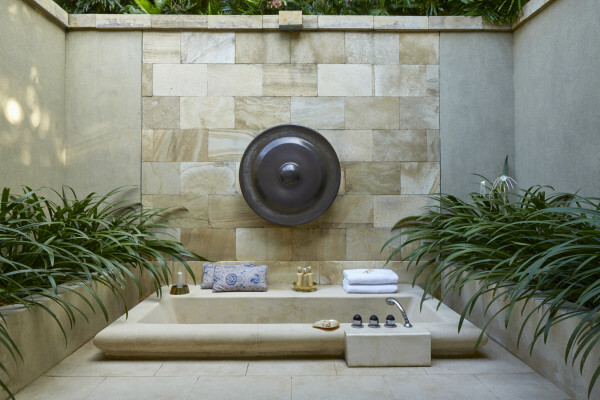 Indonesian and Western cuisines are served in these dining venues, but the specialty of the house is Makan Malam, a series of classic Javanese dishes served in traditional brass bowls. 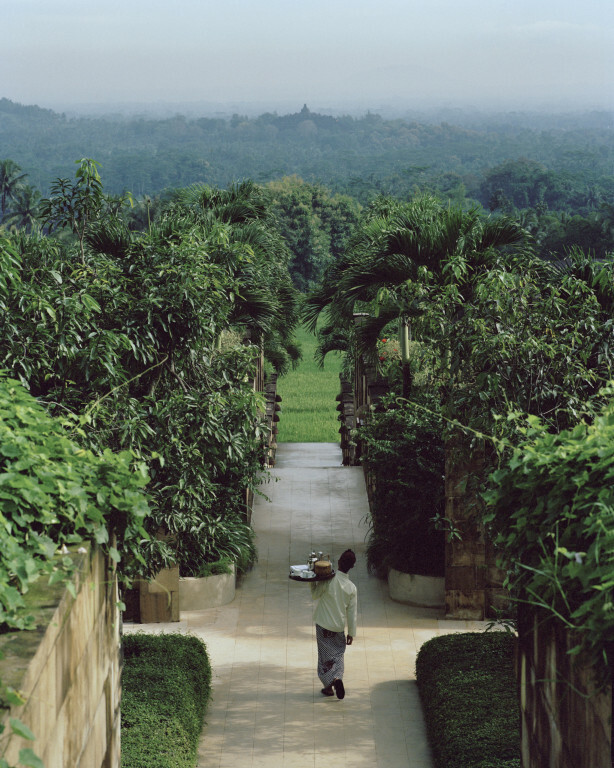 The view from the Terrace is particularly arresting at dawn and dusk. 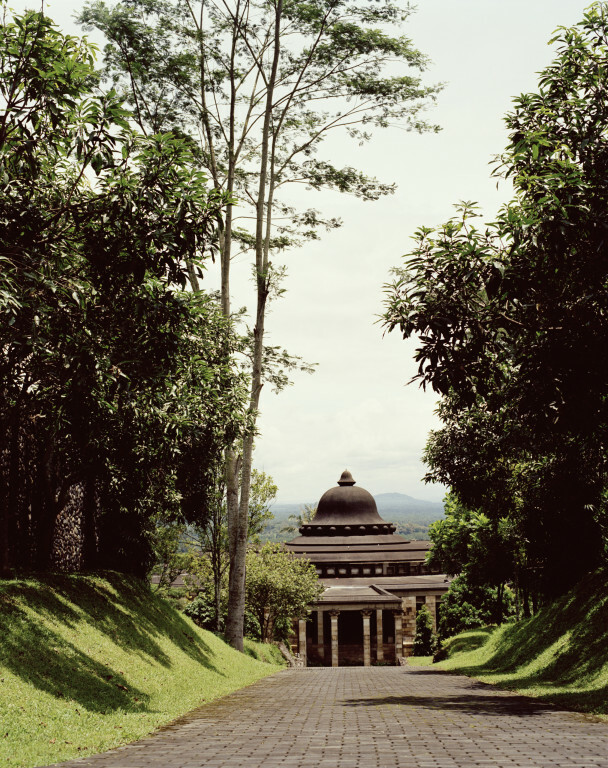 Borobudur is directly ahead of the resort, and just beyond the great Buddhist temple is the rounded hill of Tidar. 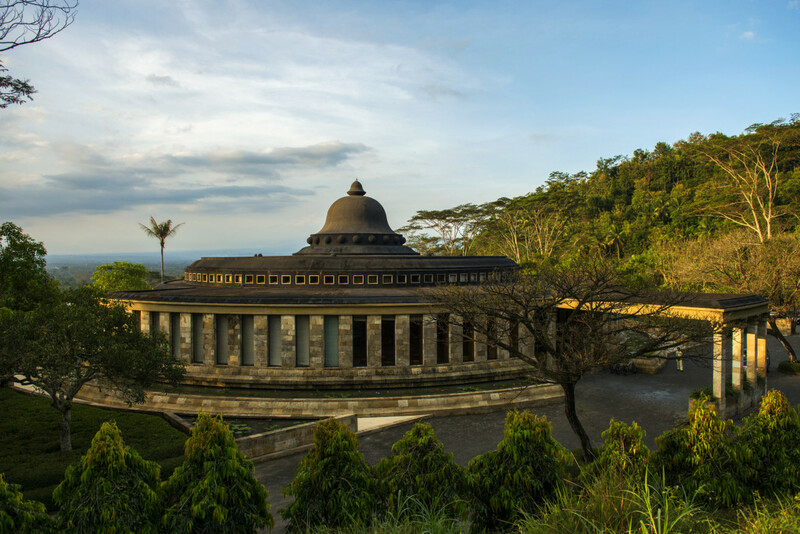 Considered the geographical centre of the island, Tidar is known in legend as the very head of the nail that holds Java to the earth. 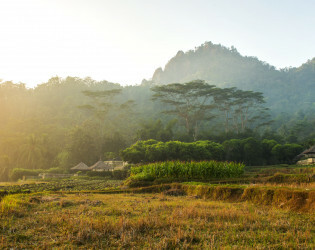 Four volcanoes back this mystic hill: Mount Sumbing in the northwest is the tallest at 3,371 metres, a perfect cone of a volcano falling to foothills and all but hiding Mount Sindoro; in the northeast, sleeping Mount Merbabu peeks through the clouds while Mount Merapi looms on the eastern horizon..